1) Have a look round skips, bins and rubbish tips. Often people simply dump an unwanted bike beside a skip hoping the binmen will take it away. However, just because a bike is left in such a position doesn’t mean you can safely take it! Leave a note on the bike to determine if it is abandoned and instructions for the refuse collectors not to remove it. 2) Keep an eye out for bikes that have been abandoned on railings and bike lockup places. If a bike has clearly been abandoned ask your council, or whoever owns the place the bike is located, about claiming it. Find out more about claiming abandoned bikes. 3) Put an ad in your local shop or supermarket stating that you are looking for an unwanted bike. Lots of people have bikes rusting in their garage they will gladly let someone take away. 4) Put an ad in the wanted section of your local newspaper. You could also put an ad on Gumtree or other online classified sites. 5) Tenement style flats often have abandoned bikes in the stairwell and garden. If you see a bike you think may be abandoned, ask the neighbours who it belongs to. You will often find no one in the tenement knows anything about it, indicating it was left by a previous resident. Be careful though, the previous owner may turn up looking for it! You should contact the owner of the tenement to find out what can be done about the bike or your local council if there is no tenement owner. 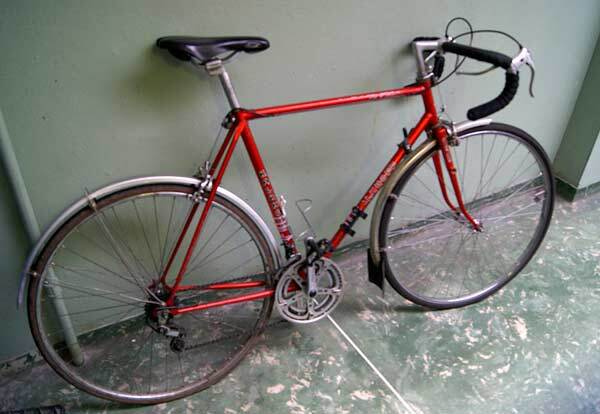 6) Try Internet sites like Freecycle, Gumtree, and Preloved, however free bikes tend to be rare on these. 7) Search the Internet or ask your local council if there are any bicycle recycling schemes in your area. If you do intend to restore an abandoned bike it’s important to ensure it’s safe to rid. Check out this complete bicycle repair and maintenance course which will give you the skills to keep your bike running safely. Essential information for obtaining free bikes. Copyright © 2019 Bike For Free. All Rights Reserved. Bike for Free is a participant in the Amazon Services LLC Associates Program, an affiliate advertising program designed to provide a means for sites to earn advertising fees by advertising and linking to amazon.com and other amazon domains.